This week we read about cognitive load and ended with a short article on diffusion of information. A very simple definition of cognitive load is the working memory that is required when performing different tasks. For example, as I write this blog post I am typing with my fingers on a standard keyboard. Minimal cognitive load. But if the typing were combined with a youtube video about maximizing my blog space, my cognitive load is increased. More of my brain is required to perform the task at hand. Innovator: You are on the cutting edge of development. Early Adopter: You are on the ground floor of a new technology. Early Majority: You are spying with the cool kids are doing and want in. Late Majority: Everyone else is doing it…so…..I might as well. Laggards: Everyone is doing it, but I am not convinced it will work. One of the things that I am very passionate about, is that teachers should use more educational technology in the classroom. There is no easier way to knock down the four walls of your classroom and touch the world than utilizing the technology that students have in their pockets. 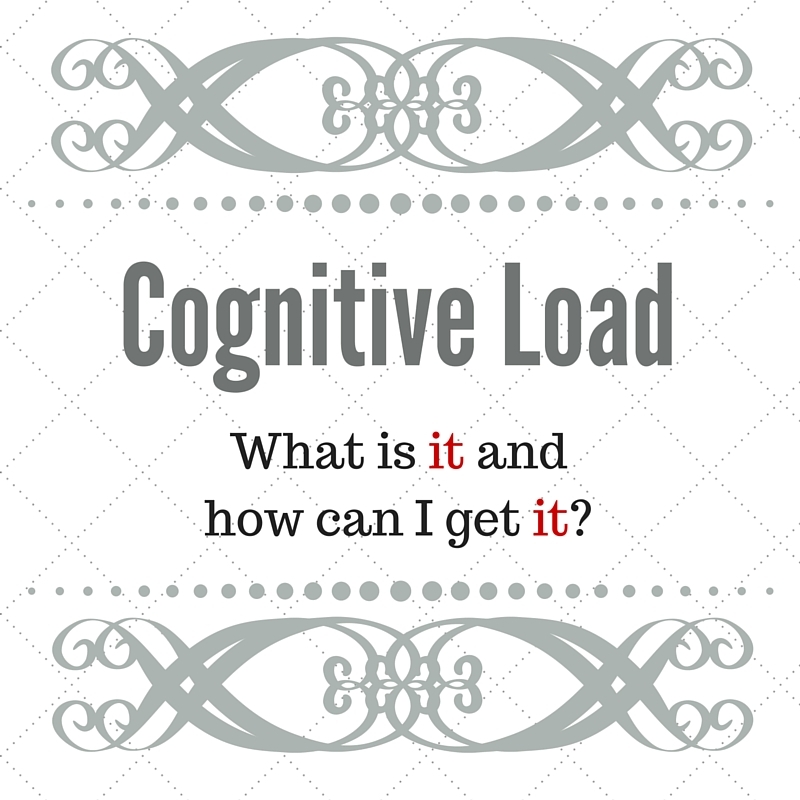 One of the problems that I tried to overcome with teachers was the cognitive load issue. There are so many cool things to do, but they take so many steps to do them. Then they take so many steps to incorporate them into the classroom. Then it takes so many steps to ensure the students benefit. It can be really hard for teachers to step into this world, without feeling overwhelmed. It can be really hard to figure out how to use some cool piece of technology in the classroom. Really Hard! When I reflect on my own teaching career, I had a little bit of a different attitude from most teachers. I was more comfortable trying technology out, I wasn’t worried about it, so much as confused about how to get it into my classroom. How could I use ______________ in a lesson?? I wasn’t sure…I needed to see said item in action. The spirit was willing…On the other hand I wanted to be on the cutting edge but was not sure how to get there. So my teaching was relatively the same for several years. I wanted to try things, but couldn’t figure it out. This changed when I flipped my classroom. My first timid steps into this world had a large cognitive load. How was I going to explain class to students and parents? What was the best way to record and upload video? What should be used as a learning management system? How do I make basic edits to my recordings? So many questions – questions that required a lot of thinking and took a lot of time to figure out. As I grew more comfortable with the flipped classroom though, my cognitive load decreased. I was able to try new things and not be so intimidated about how to use them. At the same time my cognitive load was decreasing, I was moving from one end of the diffusion of innovation (not quite a laggard, but close) toward the end that was more early adopter. My familiarity with using the technology in my classroom helped me to look for newer things that I could start using right away. My journey is not unique – any teacher could experience these same things. Those experiences would be different from mine, but equally as valuable! Brinkerhoff, J. (2006). Effects of a long-duration, professional development academy on technology skills, computer self-efficacy, and technology integration beliefs and practices. Journal of Research on Technology in Education (International Society for Technology in Education), 39(1), 22-43. Clarke, T., Ayres, P., & Sweller, J. (2005). The impact of sequencing and prior knowledge on learning mathematics through spreadsheet applications.Educational Technology Research & Development, 53(3), 15-24. Sweller, J. (2008). Cognitive load theory and the use of educational technology. Educational Technology, 48(1), 32-35.